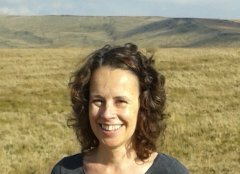 I am a person-centred counsellor with an MA in Clinical Counselling (Distinction) from the University of Chester and an Accredited and Registered member of the British Association for Counselling and Psychotherapy (BACP). My experience includes working in a variety of settings: a GP surgery in Northwich, two local hospices and Compass Counselling in Liverpool. I also work with Breast Cancer Care supporting women following a diagnosis of breast cancer. I have worked with a wide range of client issues including: depression, anxiety, identity and relationships, work-related stress, bereavement and pre-bereavement, life-limiting illness, being a carer, childhood abuse, OCD, low self-esteem. I am also able to offer counselling to clients via Employee Assistance Programmes with providers such as AXA and Aviva. Whilst my practice is very much person-centred, I have also completed short courses in Cognitive Behavioural Therapy (CBT) and Compassion Focused Therapy (CFT) and elements of these approaches can be integrated into our work if appropriate. I also hold a Certificate in Couples and Relationship Counselling from the Macclesfield Counselling and Training Centre. I have published research on the impact of breast cancer on sexuality in younger women. I understand that you may be apprehensive about seeking help and I aim to provide a calm, accepting and confidential environment in which to work together. As a registered member of the BACP, my work is guided by their Ethical Framework.